Three illustrations from different views of a classic seventies basketball sneaker. Made popular again when Break Dancing hits during the eighties these sneakers will never go out of style. 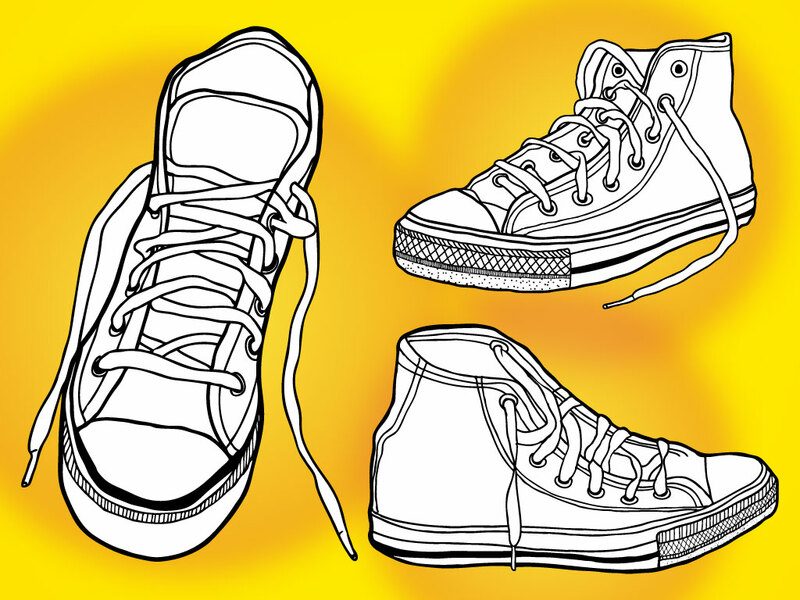 Tags: Basketball, Chuck Taylor, Converse All Stars, High Tops, Shoes, Sneakers.